Shakti & Bhakti Fest are two of California’s finest yearly festivals. Both events take place at a beautiful retreat center nestled in the high desert of Joshua Tree. Shakti Fest is right around the corner (May 15-17) and Bhakti Fest is at the end of the Summer (Sept. 10-13). The magic that happens at Shakti Fest must be experienced first hand to be believed. Shakti, is a Sanskrit word used to describe the sacred female quality inherent in creation and life. In Hinduism, Shakti is the counterpart of Shiva, whom represents the sacred Masculine polarity of life, and creation. Shakti Fest is a powerful celebration of life. A journey to Shakti Fest includes 3 days with internationally renowned Yoga teachers, continuous Kirtan with world class musicians, and a chance to heal and rejuvenate with many experts in a variety of healing arts modalities. Shakti Fest is a highly concentrated experience for anyone who is oriented towards health, wellness, yoga, meditation, spirituality, conscious living, and ecstatic love! I recently had the privilege of interviewing Jai Uttal, Bhava Ram, and Nandhi, who will all be featured presenters at this year’s event. Jai Uttal will be performing at both Shakti & Bhakti Fest this year. When I spoke to Jai this week, he told me he released two new albums this past year, “Return To Shiva Station” and “Lifeline”. “Return To Shiva Station” is an acoustic re-invention of Jai’s 1997 release “Shiva Station”, and “Lifeline” is a new compilation album created with longtime collaborator, Ben Leinbach. Jai is always creating new music and touring when he can, but also taking plenty of time for his family and spiritual life. He also leads an annual Kirtan Camp, where he teaches aspirants to develop a personal practice of Kirtan. 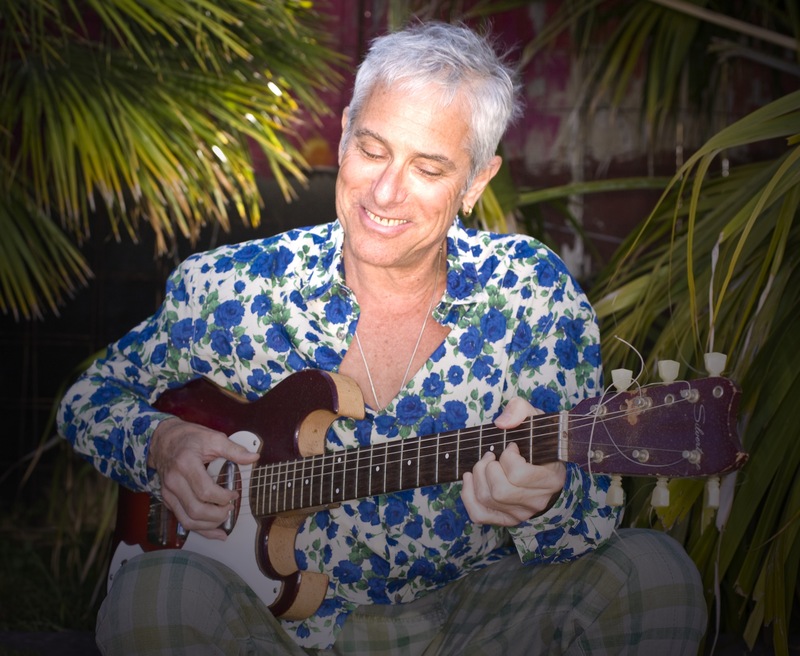 The next Kirtan Camp will be July 21st at Harbin Hot Springs in California, or you can catch Jai this winter in beautiful Nosara, Costa Rica. More information is available here. To Jai, Shakti & Bhakti Fest are inspirational events, where all the different tribes in the Yoga community gather and converge for praise, remembrance, and to chant the names of the Divine. He also loves the night sky in the desert and the natural beauty Joshua Tree has to offer. Come join Jai Uttal at the Main Stage this May! For schedule information visit the Shakti Fest website. Bhava is the founder of Deep Yoga (a San Diego based healing arts center) and Warriors For Healing, a foundation committed to the study and development of yogic science specifically directed towards serving populations that face PTSD and serious life trauma. In his highly acclaimed memoir “Warrior Pose”, Bhava shares with a remarkable intimacy and transparency the story of his own profound healing and transformation through the sciences of yoga & Ayurveda. His history as a former war correspondent, and someone who has faced these challenges himself with a personal experience and understanding, gives him an ability to establish a relationship with populations who have seldom been exposed to yoga as a powerful, authentic path towards healing and wellness. He is working diligently to spread awareness of yogic science as a cutting edge path for healing and personal transformation. He sees Shakti Fest as a rare opportunity for people to get together and share powerful transformational experiences. Bhava recently accompanied Deepak Chopra at an event where Dr. Chopra shared an explanation of this process as “self directed biological transformation”. Bhava Ram affirms what Sridar and Mukti have done creating these festivals, is life changing for thousands upon thousands of people. They are making a tremendous contribution to human kind. Bhava will be teaching two yoga classes at Shakti Fest, based on yoga as a spiritual ritual of self transformation. Siddhar Yogi Nandhi is a visionary, humanitarian, artist, ecstatic chant musician, mystic, author and teacher. Nandhi represents the wisdom of the liberated, the Siddhars. Nandhi came to the west after extensive training in yogic discipline in the spiritual wilderness of South India. His highest intent is to serve and assist the awakening of consciousness in humanity. Through yoga and devotion, Nandhi believes we have the power to “light our own inner lamp”. Which is to connect without restraint to our innermost fire and realize our connection to the source of creation. Nandhi just released a new book, “Mastery of Consciousness“, which is available on Amazon. He tells us that through the awakening and empowerment of Feminine energy (Shakti), the world will be able to find true balance. The nature of the Feminine is compassion, healing, empathy, kindness, love, and providence. It is only through the celebration and embodiment of these qualities that we can find real peace. 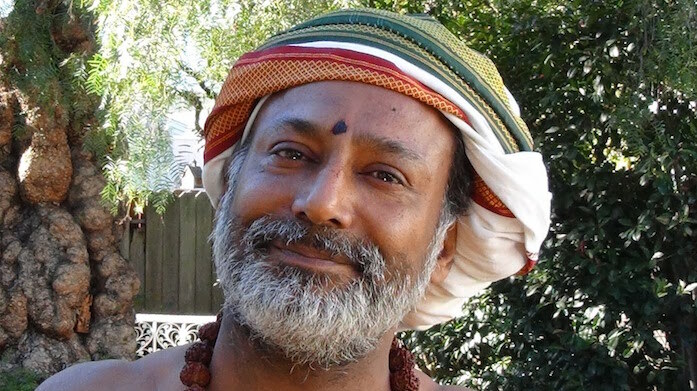 Nandhi will be teaching yoga, sharing his vision, and leading the closing ceremony (Puja) this year at Shakti Fest. In partnership with Shakti Fest, we are ecstatic to offer a chance to win free tickets to this years event! Step 1: CLICK HERE and “Like” our new page on Facebook! Exciting articles and so well put together. Easy read and flow. Inspiring. Makes me wanna go to Shakti very badly.